Fractional reserve banking is a banking system in which banks only hold a fraction of the money their customers deposit as reserves. This allows them to use the rest of it to make loans and thereby essentially create new money. This gives commercial banks the power to directly affect money supply. In fact, even though central banks are in charge of controlling money supply, most of the money in modern economies is created by commercial banks through fractional reserve banking. To understand how exactly this works, we will look at the process in more detail below. To explain the idea behind fractional reserve banking, we first have to consider its opposite: 100 percent reserve banking. 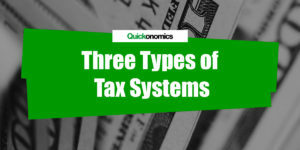 In this system, banks are required to hold all deposits as reserves. To give an example, let’s assume we have an economy with a money supply of USD 100 million. In this economy, the first ever bank just opened, we’ll call it the Super Safe Bank. This bank is only a depository institution. That means, it accepts deposits, but it does not give out any loans. By keeping all deposits in its vault (i.e. as reserves) the bank provides its customers with a safe place to keep their money. Nothing more, and nothing less. Depositors can return anytime and withdraw their deposit. Even if all of them do this at the same time, there is no shortage of cash, because all the money is stored in the bank’s vault. In other words, all the bank’s liabilities (i.e. deposits) are covered by the reserves (i.e. assets). We can illustrate this by creating a T-account for the Super Safe Bank. Now, let’s look at money supply in this example. Before Super Safe Bank opened, people had to hold all USD 100 million in cash. Now they can deposit all their money in the bank. Every deposit they make reduces currency in circulation and increases demand deposits by the exact same amount. As a consequence, money supply (which also includes demand deposits) remains unchanged. Thus, in the case of 100 percent reserve banking, banks cannot control or influence money supply. 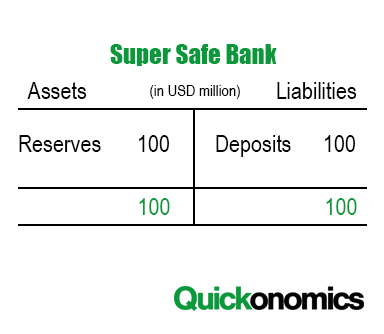 For the sake of the example, let’s now assume that Super Safe Bank has USD 100 million in its vault. Most of this money is just sitting there idle. Of course, there must always be some reserves for customers who want to make a withdrawal. However, if the flow of withdrawals is roughly the same as the flow of new deposits, is not necessary for the bank to keep all deposits as reserves. Instead, it can use some of them to make loans to people who need money (e.g. to buy a house, a new car, or go to university). This is what we call fractional reserve banking. In most countries, the fraction of total deposits the banks need to keep as reserves (i.e. the reserve ratio) is regulated by the government and/or bank policies. 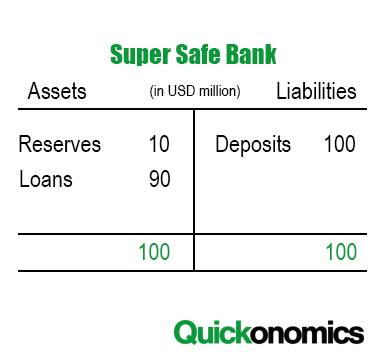 Let’s assume that Super Safe Bank is required to keep 10 percent of all deposits (i.e. USD 10 million) as reserves, it can use the remaining 90 percent (i.e. USD 90 million) to make loans. Of course, the bank can also decide to keep reserves above the legal requirements (i.e. 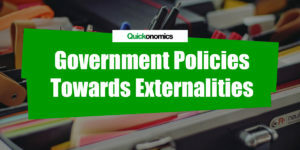 excess reserves), to make sure they don’t run out of cash. After all, an unexpectedly high number of withdrawals in a short amount of time (i.e. bank run) could put banks in serious trouble. This becomes clear once we look at our T-account again. As you can see, the assets and liabilities are still balanced, but now the loans make up most of the assets. When it comes to money supply, fractional reserve banking is a game changer. As long as Super Safe Bank does not give out any loans, the total money supply remains at USD 100 million. As soon as the bank starts making loans, however, money supply increases. In this case, depositors still have their demand deposits totaling USD 100 million, but borrowers now also hold an additional USD 90 million in cash. Thus, the total money supply now equals USD 190 million. Note that this process can be repeated, which further increases the money supply (see also Money Multiplier). 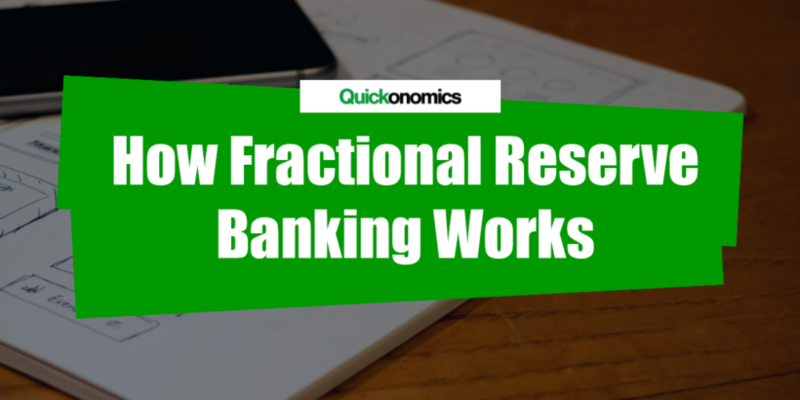 At first glance, the fractional reserve banking system probably seems too good to be true. How can it be possible for banks to create money out of thin air? At this point, it is important to note that they create money, not wealth. Money in this context is only a medium of exchange. It has no intrinsic value. By taking a loan, borrowers get more money, but at the same time they are also taking on more debt. So at the end of the day, they are not richer than before. In other words, an increase in money supply only results in a higher level of liquidity, but it does not make the economy wealthier at all. Fractional reserve banking is a banking system in which banks only hold a fraction of the money their customers deposit as reserves. This allows them to make loans to people who want to borrow money to (e.g. to buy a house, a new car, or go to university). 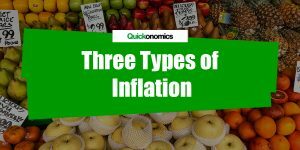 This process essentially creates money and thus increases the money supply. It is important to note, however, that even though new money is created, the overall wealth in the economy remains unchanged.